Summer is just around the corner and having sun kissed sun is everyone dream look for the long summer months. Bronzers are great for every skin tone and adds depth and dimension to the facial structure. Bronzers can also be used to contour certain facial features as well. It's a two in one kind of deal and I love when I find various ways of using a certain product. One of the best bronzers that I have come across is Hoola bronzer by Benefit. It comes with a brush and it is very smooth to put on. 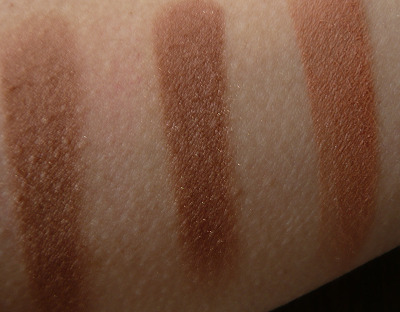 The color looks a tad tan but when you apply it, it actually looks great and natural. 1. Clean face by removing makeup and wash with delicate facial soap. 2. Use a fluffy bronzer/blush brush. 3. Start at the sides of the forehead, moving to the temples, and eventually right under the cheekbone. You end up making a number three motion with your brush. 4. Continue until you have your desired look. 5. Contour the chin bone, nose, neck, etc. if desired. Try to bronze up the facial features that the sun would normally hit if you were tanning outside. Try to blend out lines that might occur, for example like under the cheekbone, to make it look natural and less obvious. Remember to play around with your bronzer until you feel comfortable with your look and always remember to have fun!